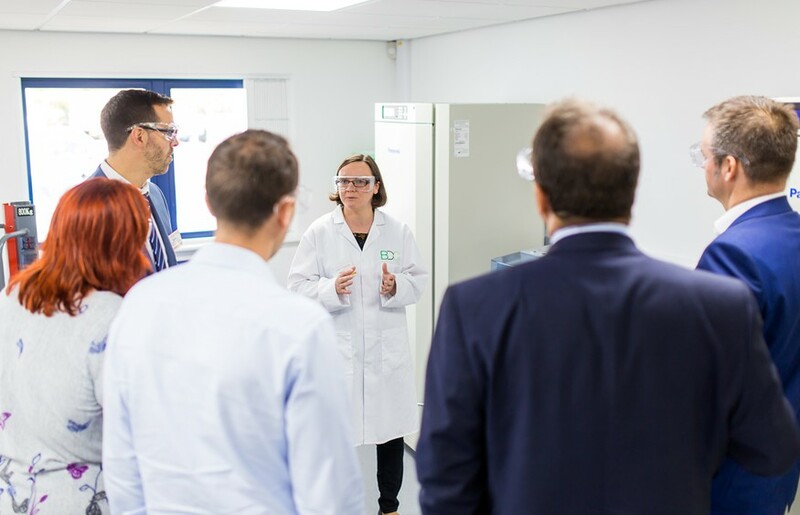 In collaboration with Dr James Chong (Department of Biology), the BDC has developed a facility for performing pilot anaerobic digestion (AD) trials and conducting pre- and post- digestion analysis, housed in the BDC Microbiology Unit. The AD suite contains four bespoke pH- and temperature-controlled stirred digester units (30L working volume). Each unit has an integral dewatering system to facilitate the continuous addition of high volumes of dilute feedstocks. The volume of gas produced by the units is continuously logged and headspace gas composition is analysed via an automated gas chromatography system that measures methane and carbon dioxide levels. Industry standard tests for the chemical composition of feedstock and digestate are available via a Hach Lange spectrophotometric unit with a high temperature / high speed digestion unit, enabling the rapid measurement of parameters including chemical oxygen demand, organic acids, nitrogen, chloride and others. Detailed volatile fatty acid analysis is available via a high resolution gas chromatography system. A Hach Lange BOD Trak II system is also available and provides biochemical oxygen demand measurements.